The European Veterinary Emergency & Critical Care Society (EVECCS), in partnership with scil animal care company is soliciting applications for the 2019 scil EVECC Research grant. The grant will fund a single research project that focuses on a clinical problem relevant to Veterinary Emergency and Critical Care up to a total of €5000! The scil Research Grant Committee is looking to fund studies that are clinically relevant, achievable and adhere to the highest ethical standards. Funds CANNOT be used for salaries, purchase of laboratory equipment or overhead costs. At least one investigator must be a member of EVECCS. Ethical approval is necessary at the time of grant proposal submission. Preliminary results will be presented by the awardee at the EVECC congress 2020 in an oral and written abstract form. In addition to the €5000 research funding, the applicant will also receive an EVECC travel grant to present the research project at the EVECC congress 2019, as well as a second travel grant to present the final results of the research at the subsequent EVECC congress (2020). Important: If you did not receive a confirmation e-mail for your grant submission within 2-3 days, please contact: katja.adamik@vetsuisse.unibe.ch! The European Veterinary Emergency and Critical Care Society (EVECCS) promotes the development of veterinary emergency and critical care across Europe. In order to improve the accessibility of this specialty to colleagues, EVECCS has now developed an Annual Travel Grant for two of its members. Two travel grants will be granted: one for veterinarian, and one for nurse/technician. The two receivers of the travel grant will receive the sum of 1000€ each to visit a European or an American institution lead by an ECVECC diplomate before the 1st of June 2020. The travel grant is dedicated in helping you to afford visit related expenses (charged visit fees, travel, accommodation…). Young vets looking for an internship or a residency program, technicians or nurses interested to improve their skills, as well as experienced vets/technicians/nurses willing to improve their knowledge and/or acquire new techniques are warmly invited to apply. A list of institutions and contact details of the local supervisors can be found attached to this page. Please carefully check the details for each institution, particularly the possible periods, durations, as well as required language skills. Please note that facilities may charge fees for the visit. Afterwards contact the local supervisor or the travel grant committee to make further inquiries and assess the feasibility of a visit. As soon as the applicant and local supervisor have come to an agreement, the application form must be filled in and signed by both. Applications are open from the 15th of January to the 15th of May 2019 and must be signed and submitted to travel committee at travel-grant@eveccs.org. Announcement of the winners will be done during EVECC congress in Tallinn (6-8th of June 2019). At the end of the visit, we will ask for a short evaluation to both the applicant and the local supervisor. 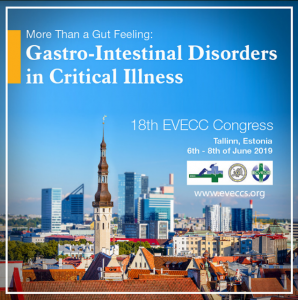 The applicant will write a short report of their visit, for potential use on the EVECCS website, newsletter and/or EVECCS booth at congress(es), to be received by the 1st of June 2020 at the latest. Do not hesitate to contact the travel committee (travel-grant@eveccs.org) if you have any informal enquiries and requests for application.